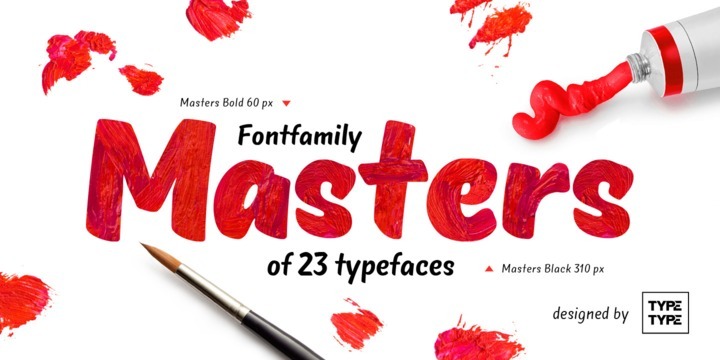 TT Masters is a brush typeface published by TypeType which includes 23 fonts, 5 stylistics sets for all occasions, glyphs coverage (available in all of the styles in this family) and it supports over 70 languages. It works perfectly for headline, logo, packaging, design projects, print…cannot miss it! A font description published on Wednesday, May 20th, 2015 in Fonts, TypeType by Alexandra that has 3,652 views.